You already have the right to His inheritance! Home | A Miracle Every Day | Miracles | You already have the right to His inheritance! That God, as sovereign King, made you heir to His Kingdom. Have you ever doubted that you are really His heir? Do you think that your current inheritance is more a series of worries, complications, and trials? I understand…I too sometimes go through this. But Jesus took the curse in your place, in my place, so that we could “sit together [with God] in the heavenly places in Christ Jesus” (see Ephesians 2:5-6, NKJV). 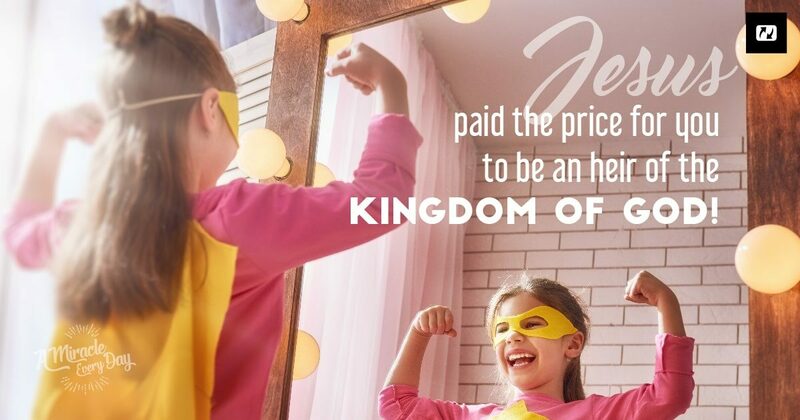 Jesus paid the price that allows you to once again be an heir of the Kingdom of God today! So, you’re already seated in heavenly places with the Father. You already have the right to His inheritance! And God, in His grace, gives you the ability to win your battles here on Earth. Have a great day at your Father’s side! Thank you! Father God! For all your beautiful memories! I will praise your Name!! In the Name of Jesus Amen! !